The Planmate open plan filing system is recognized as the most efficient design available. It provides greater storage capacity within an equal floor space compared to other methods of plan storage. Planmate Plan Trolleys are covered by a Lifetime Warranty. The Planmate A0 Mini Plan Trolley is the ideal solution for storing plans up to A0 size. This plan t.. The Planmate A0 MAXI Plan Trolley is the ideal solution for storing plans up to A0 size. This plan t.. The Planmate A1 MINI Plan Trolley is the ideal solution for storing plans up to A1 size. This plan t.. 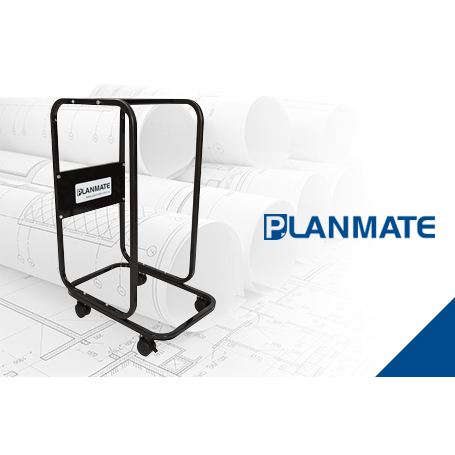 The Planmate A1 MAXI Plan Trolley is the ideal solution for storing plans up to A1 size. This plan t.. The Planmate A2/A3 Underbench Plan Trolley is the ideal solution for storing plans of A2/A3 size. Th..